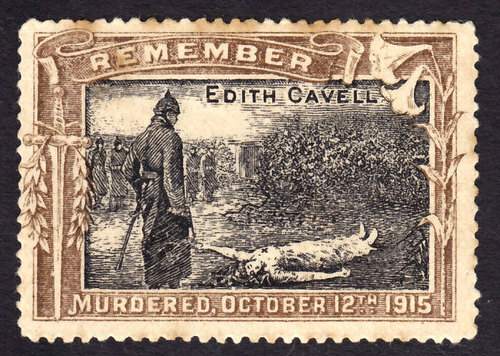 On this date in 1915 nurse Edith Louisa Cavell (1865 – 1915) was executed by a German firing squad. She is celebrated for saving the lives of soldiers from both sides without discrimination and in helping about 200 Allied soldiers escape from German-occupied Belgium during the First World War, for which she was arrested. She was accused of treason, found guilty by a court-martial and sentenced to death. Her execution received worldwide condemnation and extensive press coverage. She is well known for her statement that “patriotism is not enough, I must have no hate in my heart.” Her strong Anglican beliefs propelled her to help all those who needed help, both German and Allied soldiers. She was quoted as saying, “I can’t stop while there are lives to be saved.” The Church of England commemorates her in their Calendar of Saints on this date. 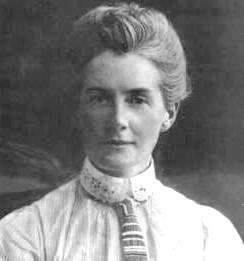 Cavell was born on 4 December 1865 in Swardeston, near Norwich, where her father was vicar for 45 years. She was educated at Norwich High School for Girls, then boarding schools in Clevedon, Somerset and Peterborough. After a period as a governess, including for a family in Brussels 1890–1895, she returned home to care for her father during a serious illness. The experience led her to become a nurse after her father’s recovery. In April 1896, at the age of 30, Cavell applied to become a nurse probationer at the London Hospital under Matron Eva Luckes. She worked in various hospitals in England, including Shoreditch Infirmary (now St Leonard’s Hospital). As a private traveling nurse treating patients in their homes. In 1907, Cavell was recruited by Dr Antoine Depage to be matron of a newly established nursing school, L’École Belge d’Infirmières Diplômées, (or The Berkendael Medical Institute) on the Rue de la Culture (now Rue Franz Merjay), in Ixelles, Brussels. In 1910 she launched the nursing journal, L’infirmière” and within a year she was a training nurse for three hospitals, 24 schools, and 13 kindergartens in Belgium. When the First World War broke out, she was visiting her widowed mother in Norfolk. She returned to Brussels, where her clinic and nursing school were taken over by the Red Cross. 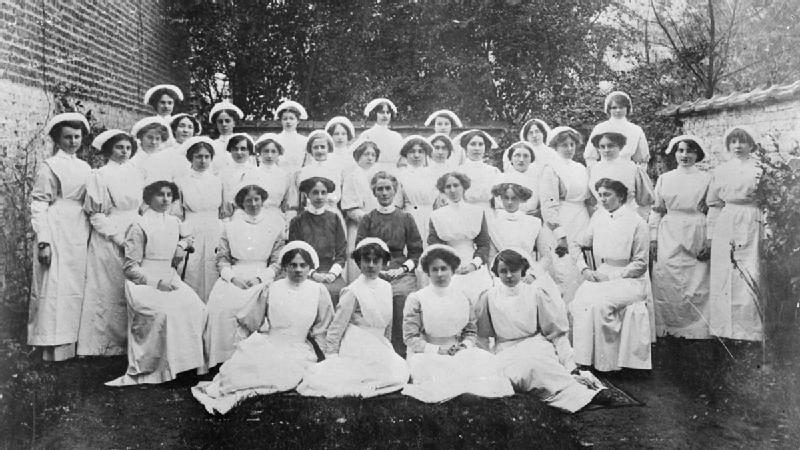 Cavell had been offered a position as the matron (head nurse) in a Brussels clinic. In November 1914, after the German occupation of Brussels, Cavell began sheltering British soldiers and funneling them out of occupied Belgium to the neutral Netherlands. Wounded British and French soldiers as well as Belgian and French civilians of military age were hidden from the Germans and provided with false papers by Prince Réginald de Croÿ at his château of Bellignies near Mons. From there, they were conducted by various guides to the houses of Cavell, Louis Séverin and others in Brussels; where their hosts would furnish them with money to reach the Dutch frontier and provide them with guides obtained through Philippe Baucq. 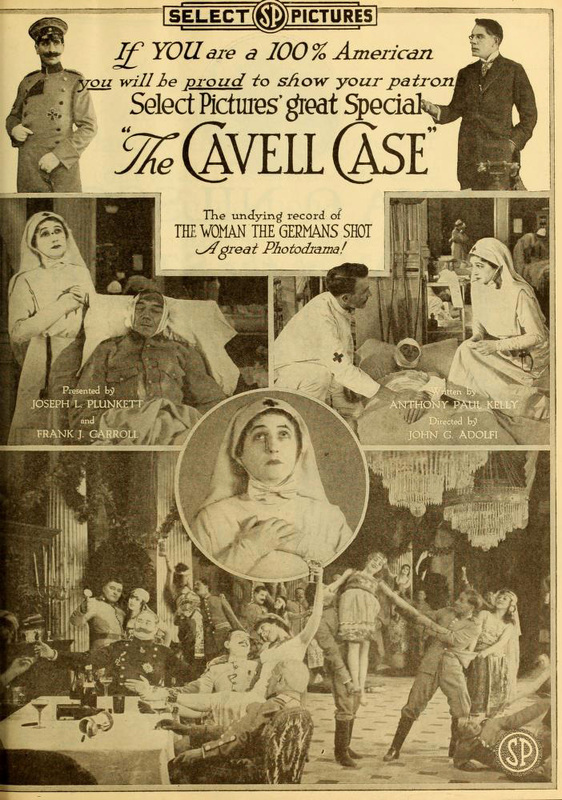 This placed Cavell in violation of German military law. German authorities became increasingly suspicious of her actions, further fueled by her outspokenness. 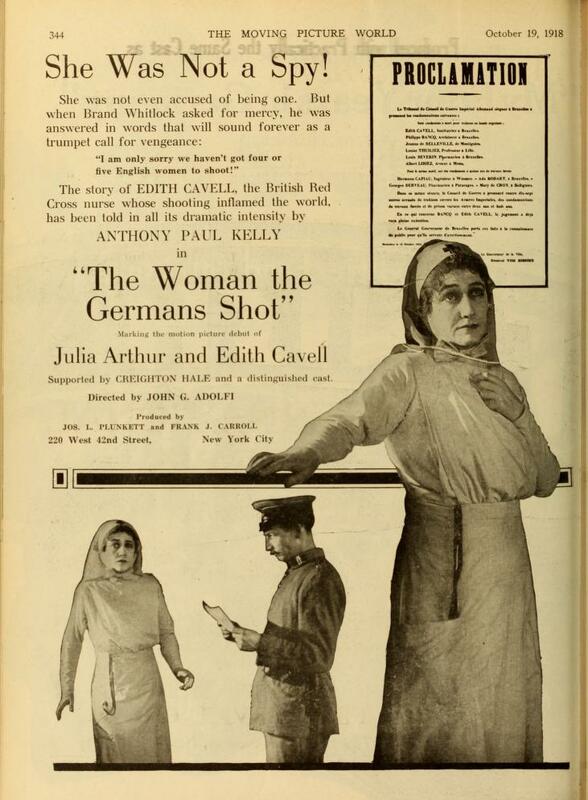 She was arrested on 3 August 1915 and charged with harboring Allied soldiers. She had been betrayed by Gaston Quien, who was later convicted by a French court as a collaborator. She was held in Saint-Gilles prison for ten weeks, the last two of which were spent in solitary confinement. She made three depositions to the German police (on 8, 18 and 22 August), admitting that she had been instrumental in conveying about 60 British and 15 French soldiers as well as about 100 French and Belgian civilians of military age to the frontier and had sheltered most of them in her house. In her court-martial she was prosecuted for aiding British and French soldiers, in addition to young Belgian men, to cross the border and eventually enter Britain. She admitted her guilt when she signed a statement the day before the trial. Cavell declared that the soldiers she had helped escape thanked her in writing when they arrived safely in Britain. 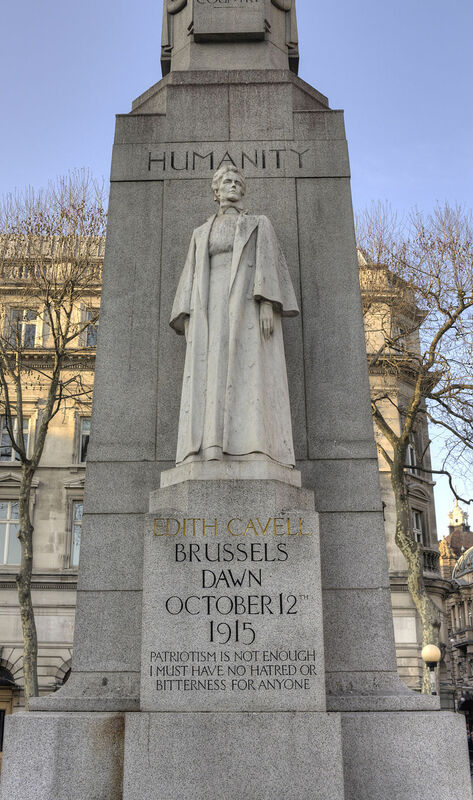 This admission confirmed that Cavell had helped the soldiers navigate the Dutch frontier, but it also established that she helped them escape to a country at war with Germany. The penalty according to German military law was death. Paragraph 58 of the German Military Code said that guilty parties; “Will be sentenced to death for treason any person who, with the intention of helping the hostile Power, or of causing harm to the German or allied troops, is guilty of one of the crimes of paragraph 90 of the German Penal Code.” The case referred to in the above-mentioned paragraph 90 consists of “Conducting soldiers to the enemy”, although this was not traditionally punishable by death. Additionally, the penalties according to paragraph 160 of the German Code, in case of war, applied to foreigners as well as Germans. While the First Geneva Convention ordinarily guaranteed protection of medical personnel, that protection was forfeit if used as cover for any belligerent action. This forfeiture is expressed in article 7 of the 1906 version of the Convention, which was the version in force at the time. The German authorities instead justified prosecution merely on the basis of the German law and the interests of the German state. 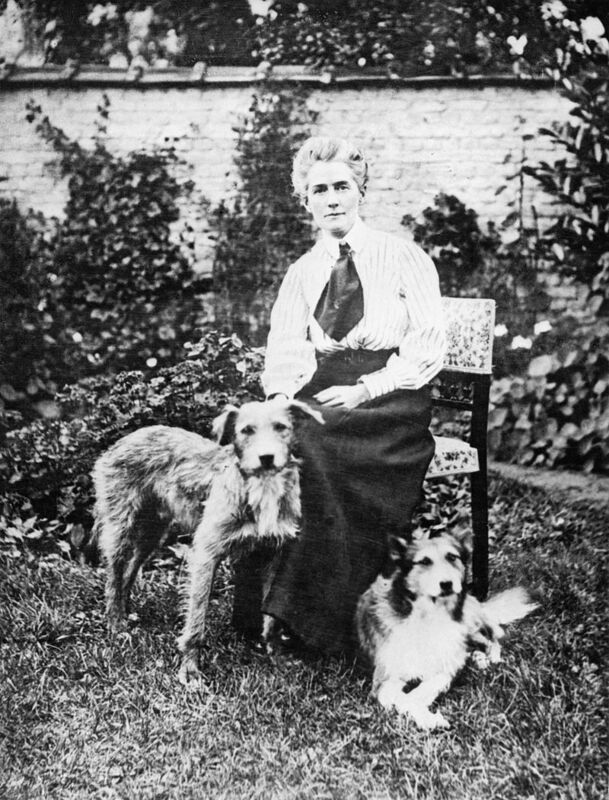 Baron von der Lancken is known to have stated that Cavell should be pardoned because of her complete honesty and because she had helped save so many lives, German as well as Allied. However, General von Sauberzweig, the military governor of Brussels, ordered that “in the interests of the State” the implementation of the death penalty against Baucq and Cavell should be immediate, denying higher authorities an opportunity to consider clemency. Cavell was defended by lawyer Sadi Kirschen from Brussels. 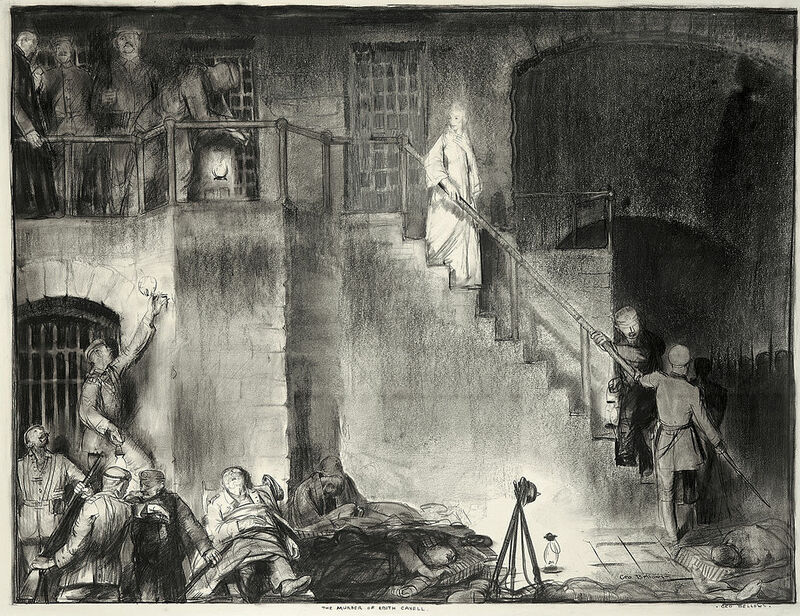 Of the 27 persons put on trial, five were condemned to death: Cavell, Baucq (an architect in his thirties), Louise Thuliez, Séverin and Countess Jeanne de Belleville. Of the five sentenced to death, only Cavell and Baucq were executed; the other three were granted reprieve. From his sick bed Brand Whitlock, the U.S. minister to Belgium, wrote a personal note on Cavell’s behalf to Moritz von Bissing, the governor general of Belgium. Hugh Gibson; Maitre G. de Leval, the legal adviser to the United States legation; and Rodrigo Saavedra y Vinent, 2nd Marques de Villalobar, the Spanish minister, formed a midnight deputation of appeal for mercy or at least postponement of sentence. Despite these efforts, on 11 October, Baron von der Lancken allowed the execution to proceed. Sixteen men, forming two firing squads, carried out the sentence pronounced on her, and on four Belgian men at the Tir national shooting range in Schaerbeek, at 7:00 am on 12 October 1915. In the months and years following Cavell’s death, countless newspaper articles, pamphlets, images, and books publicized her story. She became an iconic propaganda figure for military recruitment in Britain, and to help increase favourable sentiment towards the Allies in the United States. She was a popular icon because she was a woman, her nursing profession, and her apparently heroic approach to death. Her execution was represented as an act of German barbarism and moral depravity. It was a pity that Miss Cavell had to be executed, but it was necessary. She was judged justly…It is undoubtedly a terrible thing that the woman has been executed; but consider what would happen to a State, particularly in war, if it left crimes aimed at the safety of its armies to go unpunished because committed by women. German laws did not make distinctions between sexes, the only exception to this rule being that according to legal customs, women in a “delicate” condition (that is, pregnant), could not be executed. However, in January 1916 the Kaiser decreed that regarding women from then on, capital punishment should not be carried out without his explicit prior endorsement. 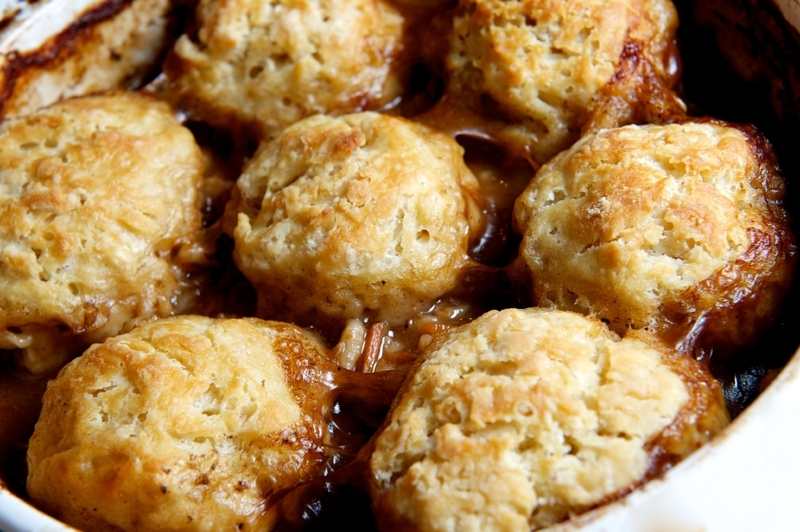 I’ve chosen a Norfolk recipe for today because of Cavell’s place of origin: Norfolk dumplings. They are sometimes known as “sinkers and swimmers” because of the habit of some of them to float and some to sink when cooked. You should really prefer the swimmers to the sinkers. Unlike other British dumplings, the Norfolk variety are traditionally made without suet or fat. Because of the lack of fat they are a bit more digestible for invalids I suspect. They can be served on their own as a side dish, but they are usually cooked in stews. This recipe is absolutely plain and basic, but you can add some flavorings such as parsley, if you prefer. Sieve the flour, baking powder, and a pinch of salt into a bowl. Mix all the ingredients together with enough water to make a light dough. Turn the dough on to a floured board, knead lightly. Then pinch off small pieces and form into round dumplings. The dumplings can be cooked in gently boiling water for 20 minutes, or added to a stew 20 minutes before serving.